The top ten iPhone apps in the world last month had a combined download figure of 68 million. According to Priori Data, at the top of the list was the ever popular WhatsApp with 9 million. Also of note this month is the entry of the mobile versions of the games 'PUBG' and 'Fortnite'. 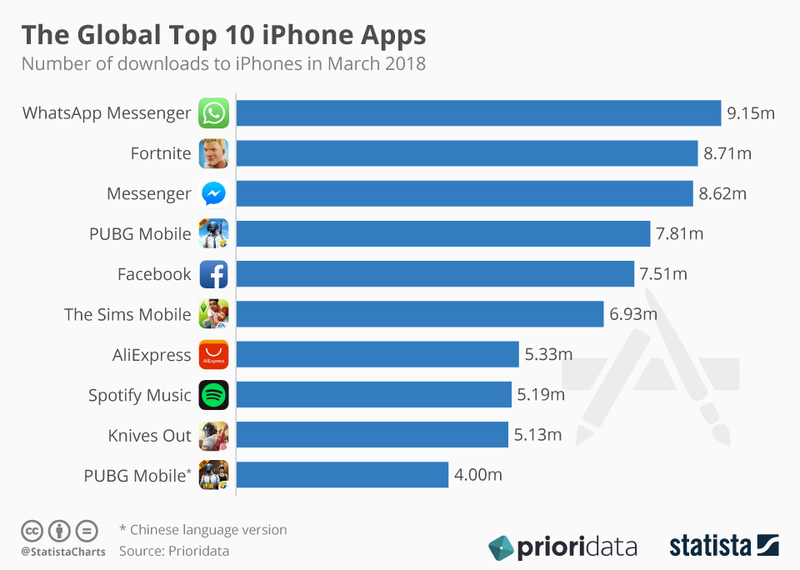 The battle royale style shooters have risen to enormous levels of popularity on PC and console, and, as can be seen from this chart, are now beginning to make their mark on the mobile market with a combined download total of 21 million downloads to iPhones in March.